Flattr.com is a new way of paying for content. Now this has already been applied to blog posts and a few other things, but it can also be true to very good forum posts. This plugin assists with that. You simply add the user id that can be found, once you are logged in, on your dashboard in the top right area. 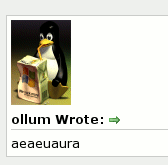 Once entered into the profile, it will create buttons for each post. But this is similar to Digg, so until someone has clicked the button, it's not yet submitted. But once someone clicked, it will be submitted instantly. If you already use Flattr, you can flattr this plugin here. Simple design for MyBB, with cool and calm tones. Lightweight theme, with font-awesome and responsive. Spy users when they create new posts. 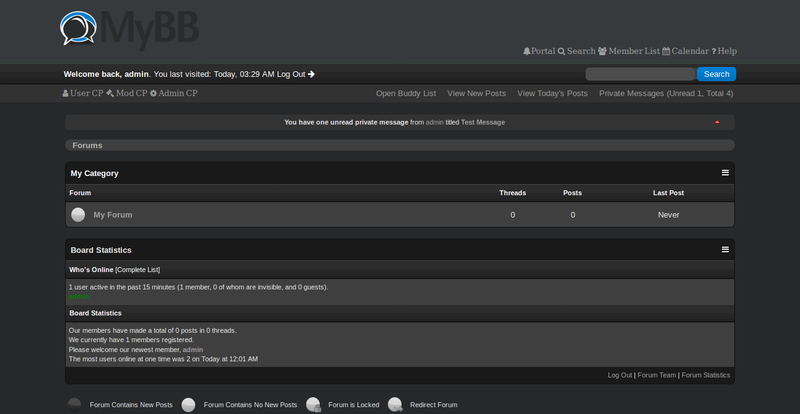 MyBB Dark is a twist of the default MyBB theme in that everything is darkened.